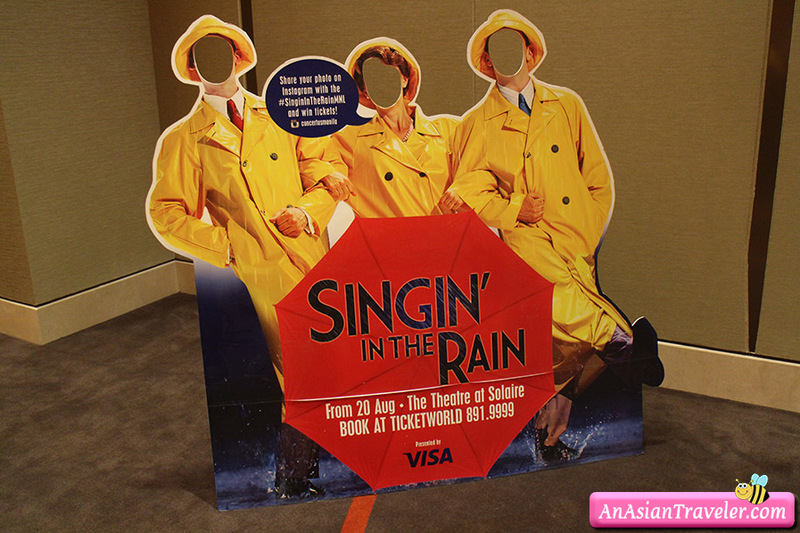 Tappin', Splashin' and Singin' In The Rain: Live on Stage! It was my second time to watch a critically-acclaimed musical from the West End, but this time not in London but in Manila. 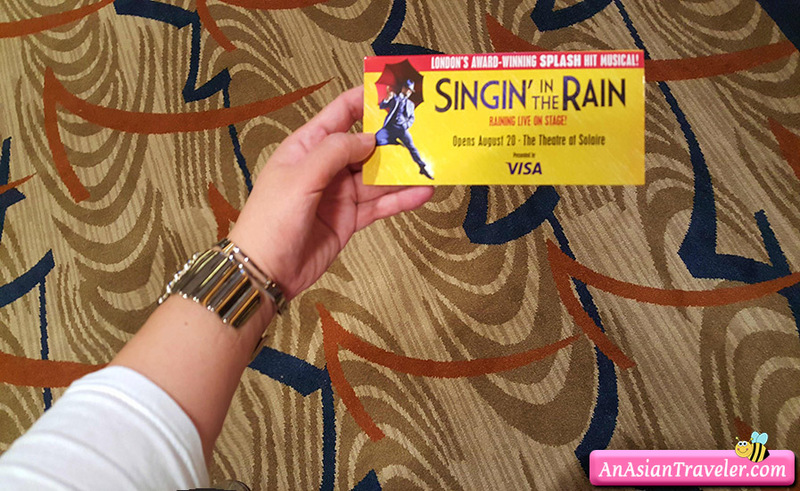 The producers of the Phantom of the Opera, Mamma Mia, Wicked and Chicago brought in this spectacular show (entitled, Singin' in the Rain) which started on 20th August and ended on the 13th of September at The Theatre in Solaire Resort and Casino. 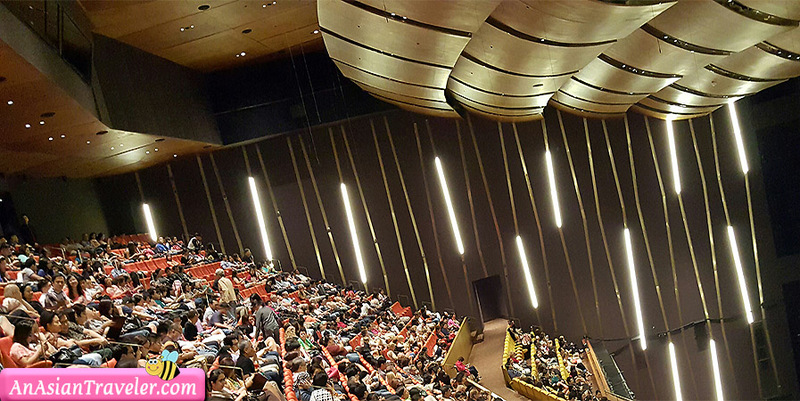 As we watched the show on the last day and the tickets were sold at a hefty discount, every nook and corner of the theatre were obviously filled to capacity. 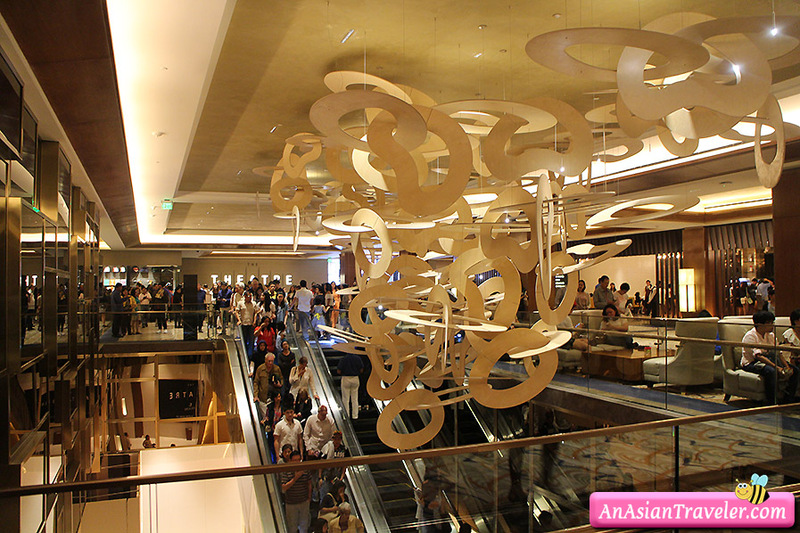 The Theatre grand foyer were swamped with people excited to have souvenirs and photo-ops at the photo gallery with life-sized replica of the main characters and shown on huge screen before the start of the show. "I'm singin' in the rain Just singin' in the rain What a glorious feelin' I'm happy again. I'm laughing at clouds. So dark up above The sun's in my heart And i'm ready for love. 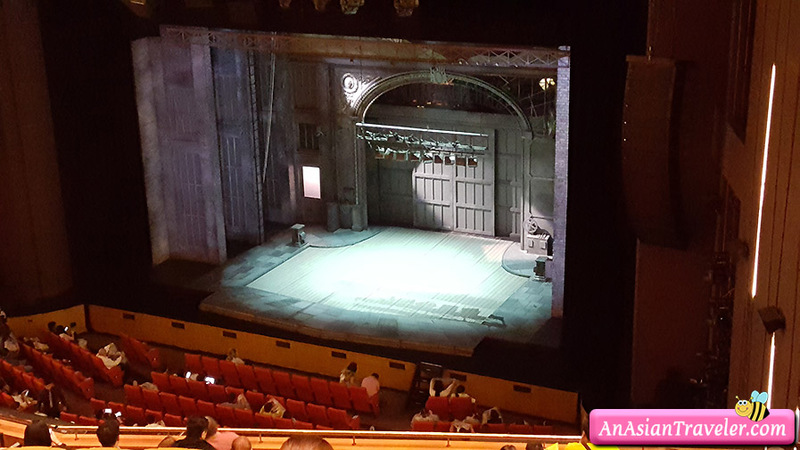 I've a smile on my face I walk down the lane With a happy refrain just singin' singin' in the rain"
1.The stage first scene was 8 decades ago, specifically in the 1920's, very simple yet decent stage production. 2.The play was based on a film produced by MGM in 1952 (probably this sounds familiar to our parents) witn Gene Kelly (as Don Lockwood) and Debbie Reynolds (as Kathy Selden) as the main characters. The said film was the first of its kind, the first ever Hollywood musical film, a paradigm shift from “silent” to “talking/moving” movies where actors can actually talk, sing and dance. 3.Don Lockwood's role was played by Grant Almirall/Duane Alexander while Bethany Dickson played the role of Kathy Selden. Bethany Dickson is famous for her role of “Maria” in the musical production of “The Sound of Music”. 4.The play featured a mix of romance, comedy, and likewise the intricacies of being a Hollywood producers and celebrities at that time, and wherein “glamour” was introduced and where divas and primadonnas of the film industry (in this case, Lina Lamont (Don's co-star and the the famous lady actress at that time) got its name and privileges. 5. To top it all, the said play was the first musical production with about 12,000 liters of filtered water used for the “rain” scene. Don Lockwood after getting a positive feedback from the lady of her dreams (Kathy, a neophyte in the film industry) was on high spirits. He was extremely happy, dancing under the rain without an umbrella, dripping wet and to the audiences delight especially those who were on the front rows got their memorable experience of their life as they too with their raincoats on were drenched by Lockwood's tappin', splashin' and singin' in the rain! Hence, the blog title. The play gave me a nice nostalgic vibes. “Good Morning, good morning”, Make 'Em Laugh and the rhyming song “Moses Supposes” with the accompanying choreography and colorful costumes brought a smile deep inside in me! Lina Lamont's unique high-pitched voice made the audience laugh and crazy even if it sounded monotonous and irritating to the ears already. Her voice was definitely not meant for “talking” movies”! 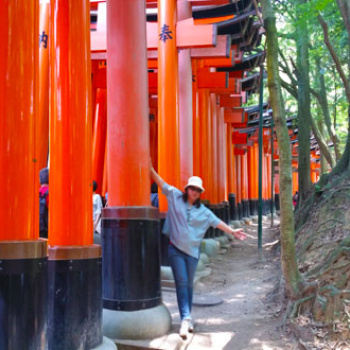 One verse spoken by Kathy which ignited my attention was: “Once, you've seen one, you've seen them all". Quite true in some ways that I was murmuring the words while watching the show! hahaha. 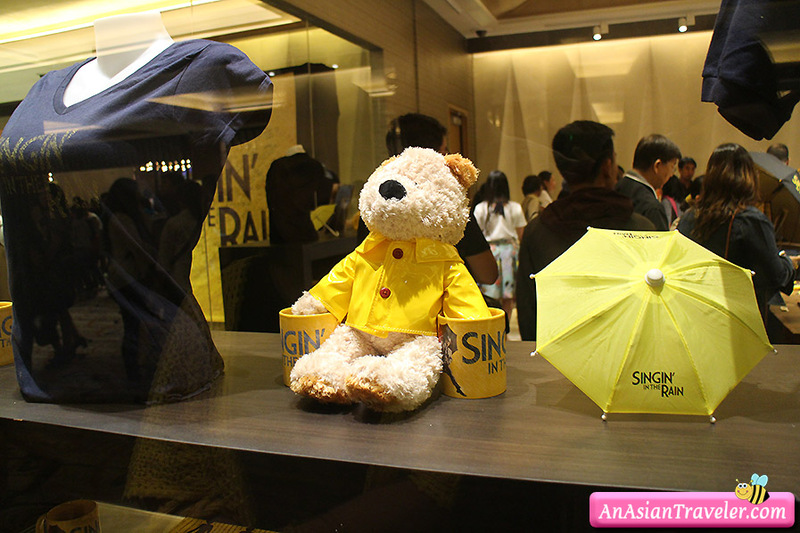 Just the title of the song itself, Singin' in the Rain, made people decide to watch the musical show. It was worth seeing and I would like to see a similar show like this “with splashin and singin'” in the future. Kudos to the actors and actresses of the show! 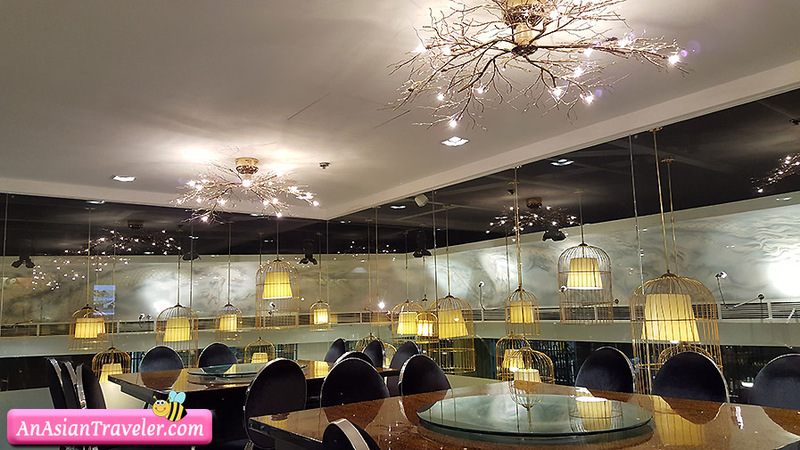 After the curtain call and the never ending applause, we proceeded to MOA to have dinner at a favorite Lugang Cafe. P.S. 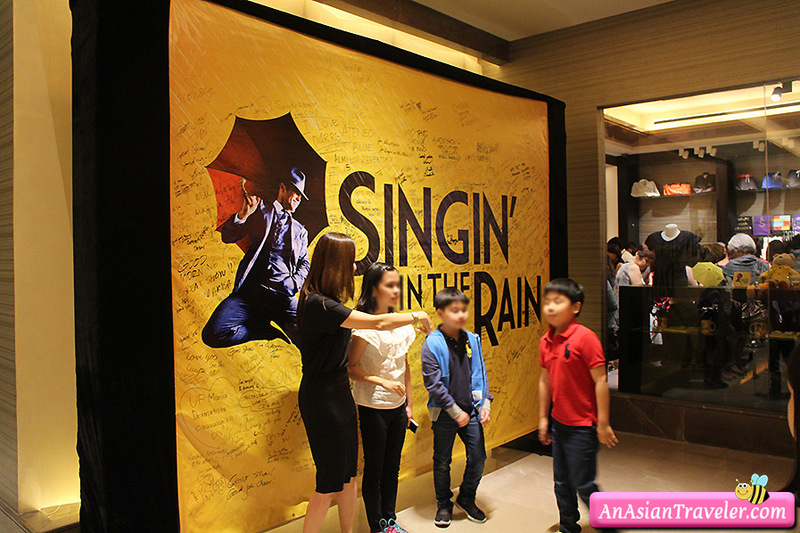 Singin’ in the Rain was brought to Manila by David Atkins Enterprises, Michael Cassel Group, Concertus Manila, Dainty Group and Lunchbox Theatrical Productions and was produced by Stage Entertainment and Chichester Festival Theatre.